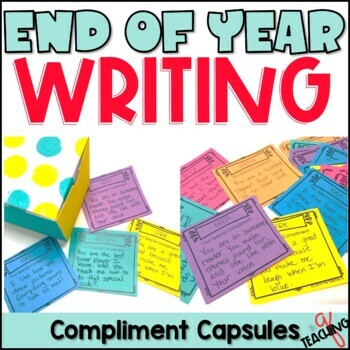 My End of the Year Compliment Capsule Resource was created to give your students a unique and engaging way of writing compliments to one another. 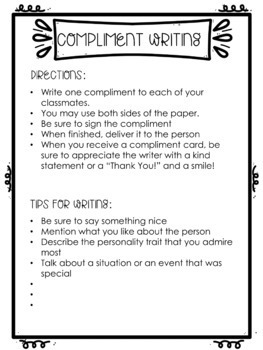 The students are also able to practice the skill of "giving" and "receiving" a compliment. 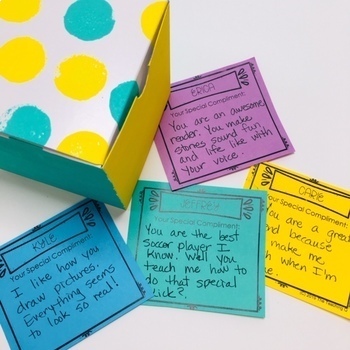 Once all compliments are collected, the students place them in a decorative "capsule" (a small box). The students and family members then "bury" the capsule in their house to discover later in life. How fun it would be to discover your younger years! This product is EDITABLE. 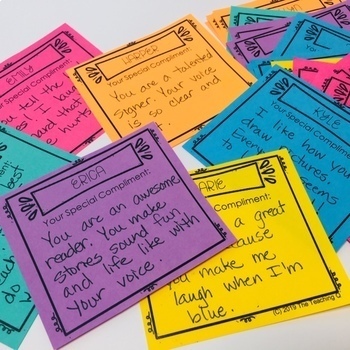 Simply type in each students name in a form and the names will auto-fill onto the compliment cards. If you enjoy this FREE resource you may be interested in my other EDITABLE products too! Stay connected for FREEBIES and follow me!